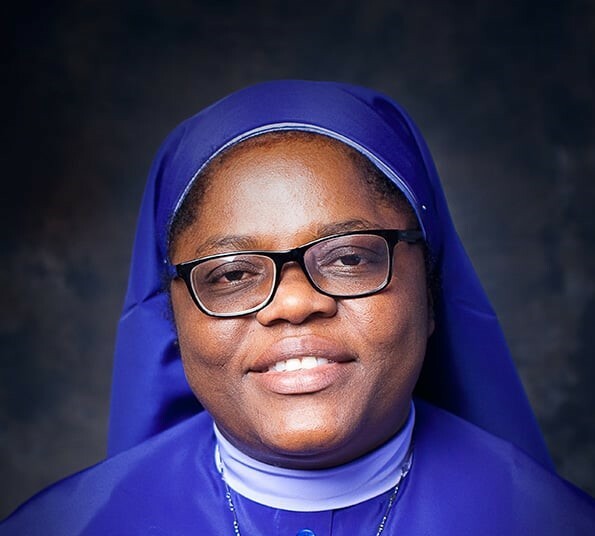 Born on May 25th 1970 at Aba in Eastern Nigeria, to Roland and Eunice Oranefo, (nee Madubuike), I entered the Congregation of Daughters of Mary, Mother of Mercy (DMMM) on November 18, 1987, and made my first Profession of Vows on September 21st 1990, and the Final Vows on September 22nd,1996. With regard to formal education, I studied Accounting, graduating with the Ph. D in 2015.Now, I am a Senior Lecturer at Nwafor Orizu College of Education, Nsugbe, and have authored four books, jointly authored four others, and published articles in local and international journals. I have served our Congregation in various capacities: as Secretary of Vincent de Paul Hospital, Ehime; Community and School Bursar of our Congregational Schools; Teacher of Computer Science to our Sisters and Internal Auditor of our Congregation. Beyond the Congregation, I have served as Accountant to many institutions, foremost of which was the Catholic Institute of West Africa, Port Harcourt. I have also served as Coordinator of Youth Peace Club; Chairperson of Peace Club Committee for Women of the College of Education and Chairperson of Welfare Committee, all of Nsugbe Chapters. I am equally a member of various Church Sodalities: Catholic Charismatic Renewal Movement, Confraternity of Christian Doctrine; Legion of Mary, and Devotion to Divine Mercy. I have also been a Formator at and a Coordinator of the Mary League Association and Counselor of Female Youth Organization.